With the Arabian Sea in the west and a vast network of lakes, lagoons and fresh water rivers crisscrossing it, Alappuzha is a district of immense natural beauty. Referred to as the Venice of the East, this backwater country is also home to diverse animal and bird life. 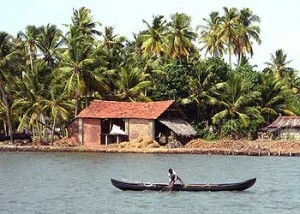 By virtue of its proximity to the sea, the town has always enjoyed a unique place in the maritime history of Kerala. 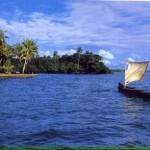 Alappuzha is also famous for its boat races, houseboat holidays, beaches, marine products and coir industry. 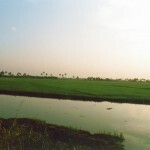 Kuttanad: Kuttanad, known as the Rice Bowl of Kerala because of its wealth of paddy crops, is the very heart of the backwaters. The scenic countryside here displays a rich crop of banans, yams and cassava. This is one of the places in the world where farming is done below sea level. Inland waterways, which flow above land level, are an amazing feature of this unique land. Pathiramanal: Pathiramanal is situated one and half hours by motorboat / 30 minutes by speedboat from Alappuzha. The enchanting island of Pathiramanal (sands of midnight) on the backwaters is a favourite haunt of hundreds of rate migratory birds from different parts of the world. The island lies between Thaneermukkom and Kumarakom, and is accessible only by boat. This entry was posted in Alappuzha, Kerala. Bookmark the permalink.